The problem with painkillers is not finding one, but choosing a medication that is safe and effective. Which pain med? There are legions of choices when it comes to painkillers; our primer sorts out the most common. Medications can be effective for treating pain, but they’re not the only method. In fact, some people shouldn’t use painkillers at all. Others simply don’t need them because there are other ways to treat pain. Options for relieving pain without taking medications begin with conservative approaches such as losing weight, avoiding movements that cause pain, or applying heat or cold to a painful muscle or joint. Non-traditional treatments to consider include massage, acupuncture, tai chi, and yoga. But for people whose pain is severe enough to interfere with daily activities or restful sleep, four categories of pain medications are readily available, highly effective, and—when used properly—safe. Acetaminophen (found in Tylenol, Datril, and several forms of Excedrin) is generally safe and effective for such conditions as headaches, muscle aches, arthritis, backache, toothaches, colds, and fever. Although acetaminophen has little risk if used according to directions, taking too much too often can cause liver damage and even death. Before taking acetaminophen, tell your doctor if you have had liver disease or if you drink alcohol on a regular basis. 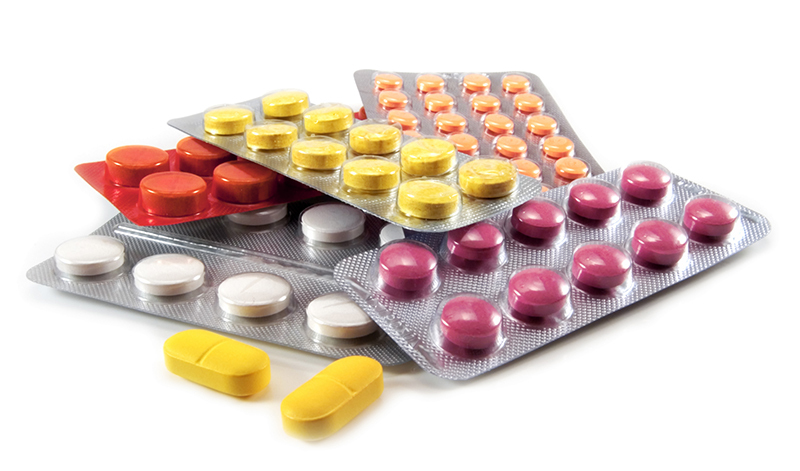 Check the labels of all your medications to find out if they contain acetaminophen. The FDA says not to exceed 2,000 mg/day of acetaminophen. Aspirin is considered one of the most effective methods of relieving pain, but it carries side effects, such as stomach-lining irritation and blood thinning. Avoid aspirin when you have used alcohol or taken blood thinners. Other drugs to avoid while taking aspirin are corticosteroids, methotrexate (for rheumatoid arthritis and other conditions), probenecid (used to treat gout), and medications for hypertension or diabetes. Don’t take aspirin when you are also using ibuprofen. COX-2 inhibitors are used for osteoarthritis and rheumatoid arthritis, among other conditions. They reduce inflammation without the stomach irritation risks associated with the nonsteroidal anti-inflammatory agents. Celecoxib (Celebrex) is the only COX-2 inhibitor still available. Nonsteroidal anti-inflammatory drugs (NSAIDS) such as ibuprofen and naproxen are used for pain management, but they can have side effects, including stomach irritation and gastrointestinal bleeding. Taking more than one type of NSAID during the same period of time (one month, for example) has a negative effect on both physical and mental health, and multiple uses should be avoided. Topical pain relievers are available in creams, sprays, and patches. Some of them, such as lidocaine (Lidoderm), fentanyl (Duragesic), and Flector Patch (an NSAID), are applied to the skin directly or through pain patches. When the medication is absorbed through the skin, it blocks the pain signals. Capsaicin, which comes from the seeds of chili peppers, is used to treat pain associated with arthritis, shingles, and diabetes, among other conditions. It works by sending a message that shuts down pain receptors. Capsaicin can provide temporary relief, but can also irritate the skin and produce a burning sensation in the first few weeks of use. It may take three to four weeks to determine if it’s going to work. Some topical medications contain trolamine salicylate, which is similar to aspirin. These medications have trade names like Aspercreme and Sportscreme, and they appear to be safe, although there is little evidence that they are effective for long-term pain. Others, like Ben-Gay and Icy Hot, may distract you from mild muscle or joint soreness. Opioids are prescription drugs derived from the opium poppy (or synthetic derivatives) that act on the nervous system to relieve pain. Prescription examples are morphine, oxycodone, hydrocodone, codeine, and fentanyl. Trade names include Percocet, Vicodin, Demerol, and OxyContin. All are effective in relieving both acute and chronic pain, but they can produce significant side effects, including drowsiness, dizziness, constipation, and addiction. Opioids are not effective for all patients, and some develop dependency even though the drug is not relieving pain. The ACPA classifies some drugs as analgesics (painkillers) even if they are not designed for that purpose. Antibiotics are moving toward mainstream status as a treatment option for some conditions that cause chronic pain, including chronic pelvic pain and irritable bowel syndrome. Some antidepressants may be as effective as opioids for improving patients’ chronic pain and ability to function. In addition to antidepressants, anti-anxiety drugs also act as muscle relaxants and are occasionally used as pain relievers. Antidepressants can have unpleasant side effects—sedation, nausea, weight gain, sexual problems, dry mouth, and blurred vision. Daily use of selective serotonin reuptake inhibitors (SSRIs) may significantly increase the risk of fractures. Low-dose tricyclic antidepressants (TCAs) such as amitriptyline, imipramine (Tofranil), and desipramine (Norpramine) have been used for some time in the treatment of pain related to nerve damage. Relatively low doses of TCAs are used to treat pain and have fewer side effects than the high-dose TCAs used to treat depression. Venlafaxine (Effexor) is an antidepressant that has proven to be effective in treating lower back pain, osteoarthritis, and rheumatoid arthritis. Ziconotide (Prialt) is administered by an implanted pump that delivers the medication directly into the spine. It is believed to target and block the channels that transmit pain signals. It does not cause addiction. Pregabalin (Lyrica) comes in capsule form and is used for diabetic peripheral neuropathy and post-herpetic neuralgia, as well as other conditions. Rituximab (Rituxan), abatacept (Orencia), and tocilizumab (Actemra) are FDA-approved drugs for patients with rheumatoid arthritis. All three drugs reduce the symptoms of rheumatoid arthritis, improve physical function, and slow the progression of joint damage. Zoledronic acid (Reclast) is a single-dose treatment for postmenopausal osteoporosis, as well as a bone condition known as Paget’s disease. Triptans such as sumatriptan (Imitrex) and rizatriptan (Maxalt) can temporarily narrow dilated blood vessels and relieve migraine headache pain. Steroids are effective in treating inflammation and pain, as well as the underlying causes of pain such as lupus and rheumatoid arthritis. They work by suppressing the immune system. They are usually prescribed for short periods of time because they produce side effects such as depression, upset stomach, elevated blood pressure, cataracts, bone thinning, and osteoporosis. People may respond differently to the same medication. For some, pain medications may actually worsen their symptoms or cause unwanted, dangerous side effects. Whatever the pain medication, follow the exact instructions on the label. If you have questions, don’t take a chance. Call your physician, pharmacist, or other health care provider. alcohol, anti anxiety, anti anxiety drugs, anti inflammatory, anti inflammatory drugs, antibiotics, antidepressant, antidepressants, anxiety, anxiety drugs, arthritis, back pain, backache, blood pressure, blood thinners, bone, bone thinning, bowel syndrome, cataracts, chronic pain, chronic pelvic pain, constipation, corticosteroids, cox 2 inhibitors, depression, diabetes, diabetic, diabetic peripheral neuropathy, dizziness, elevated blood pressure, gastrointestinal, gout, headache pain, headaches, health, hypertension, immune system, inflammation, irritable bowel, irritable bowel syndrome, liver disease, losing weight, lower back pain, lupus, lupus and rheumatoid arthritis, massage, mental health, migraine, migraine headache, muscle, muscle aches, nsaids, osteoarthritis, osteoarthritis and rheumatoid arthritis, osteoporosis, pain, pain management, pain medication, pain meds, pain receptors, pain relievers, pelvic pain, postmenopausal, postmenopausal osteoporosis, prialt, reduce inflammation, relieve pain, restful sleep, rheumatoid, rheumatoid arthritis, selective serotonin reuptake inhibitors, serotonin, serotonin reuptake, serotonin reuptake inhibitors, Shingles, side effects, skin, sleep, sportscreme, stomach lining, stomach lining irritation, to treat depression, treat depression, tricyclic antidepressants, triptans, weight gain, ziconotide, zoledronic acid. I would like the report, but when I pressed “Get free report” or wording like that, nothing happened.